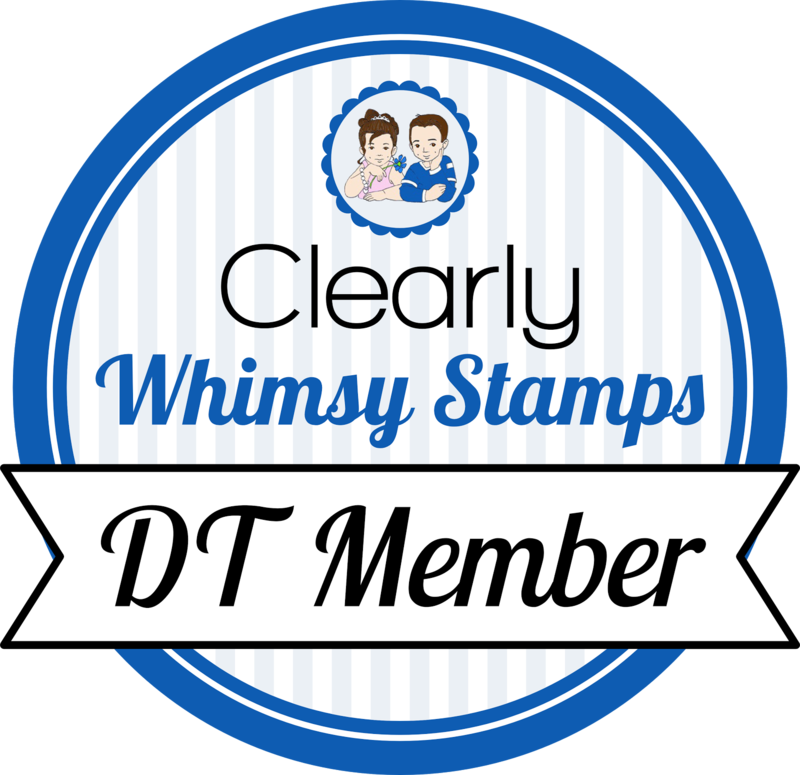 Welcome back for another day of inspiration from the April Whimsy Stamps release. Everything is already available for purchase at the Whimsy Store, and you can see what the rest of the team has made by going to the Whimsy blog or Facebook page. 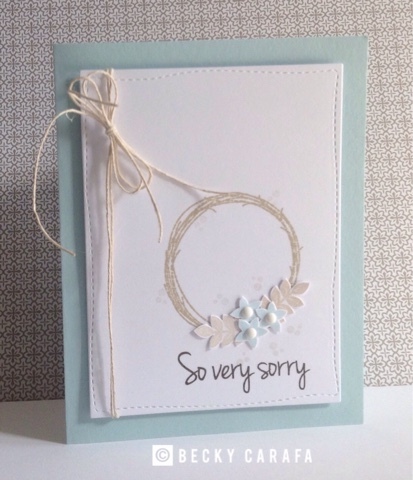 Today I used Deepest Sympathy, a really lovely stamp set of all sentiments. There is a companion word die set as well. I started by cutting a white Hand-Stitched Rectangle and stamping the wreath from Autumn Blessings in kraft ink on it. I stamped and cut out the flowers and leaves and adhered them to the wreath. The sentiment, from Deepest Sympathy, was stamped in dark brown ink. I tied a double twine bow around the end of the panel before popping it up on a light blue card base. I added white enamel dots (from Christmas Cheer) to the flower centers.